Book in your friends and family as the annual Battersea Park Fireworks display is back on Saturday 4 November 2017 to ignite the skies of Wandsworth. The award-winning pyro-technicians, Jubilee Fireworks, are powering up for what promises to be an electrifying 22 minute firework display, set to music inspired by this year’s theme “Power”. Gates open at 6pm for pre show entertainment and to grab something tasty from the food and drink stalls. Remember to bring cash as there are no card facilities onsite. The bonfire is lit at 7.30pm by Councillor Jim Maddan OBE Mayor of Wandsworth and the firework display starts at 8pm. Tickets for the 50,000 capacity sell out in advance and are only available online here. There are limited Super Early Bird and Early Bird offers so it’s best to book as quickly as possible to avoid missing out. 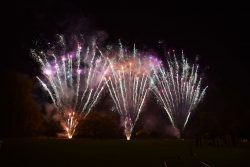 Wandsworth Council’s Battersea Park Fireworks is managed and delivered by Enable Events Team. Time: Gates open for food, drink and entertainment at 6pm. Bonfire is lit at 7.30pm. There is no entry after 8pm as the fireworks start promptly. No tickets available on the gates, tickets must be bought in advance from the website. Fireworks, sparklers, animals, and glass bottles are not permitted onsite. Bag searches will be in place. No parking available at the event, members of the public are strongly advised to use public transport. Wandsworth Council’s Wandsworth Arts Fringe is back!